Christa Kuljian is a free-lance writer based in Johannesburg. She writes and teaches narrative non-fiction and focuses on writing about social justice. Christa is currently a Research Associate at WiSER (Wits Institute for Social and Economic Research) at the University of the Witwatersrand, South Africa. 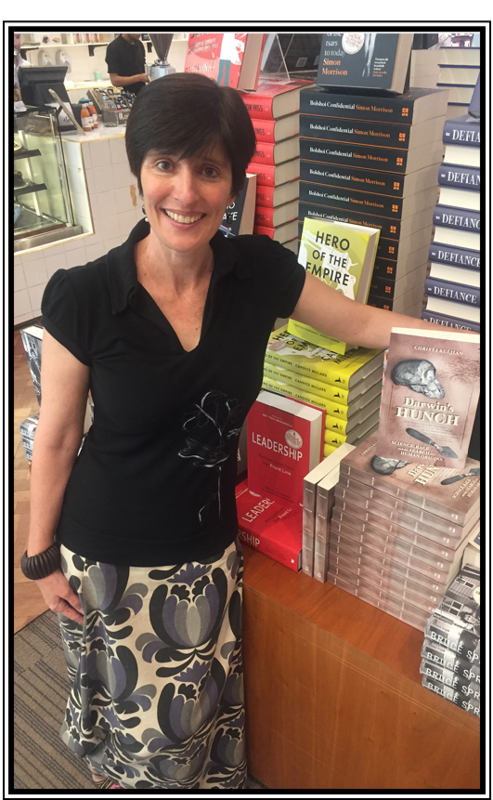 She is also the author of two books, Sanctuary (Jacana Media 2013) and Darwin’s Hunch (Jacana Media 2016). Christa was awarded the Ruth First Fellowship at Wits Journalism in 2010 and gave the Ruth First Memorial Lecture on the refugee crisis at the Central Methodist Church in Johannesburg, which led to her writing her first book Sanctuary. It was Christa’s studies with palaeontologist Stephen Jay Gould for her BA in the History of Science at Harvard (1984) that provided inspiration for Darwin’s Hunch. Christa received her Master’s in Creative Writing from the University of the Witwatersrand in 2007 focusing on narrative nonfiction, with a thesis about the social history of Kliptown – the home of the Freedom Charter – and the target of large projects led by the Johannesburg Development Agency. Christa’s writing has appeared in publications including City Press, The Weekender, The Times, Mail and Guardian, New Contrast, Botsotso, Words etc., Digest of South African Architecture, JWTC’s The Salon, Social Dynamics, and African Studies. In the 1980s, Christa volunteered for the South African Council of Churches in Johannesburg and worked as a Foreign Policy Aide for Senator Edward Kennedy in Washington, D.C., focusing on human rights abuses in southern Africa and promoting the Comprehensive Anti-Apartheid Act. She also received her Masters in Public Affairs from the Woodrow Wilson School at Princeton (1989). Christa was the Director of the C. S. Mott Foundation in South Africa from 1992-2003 where she worked to support organisations working on legal rights, women’s development, strengthening community participation and the non-profit sector.